The path to the netherworld is dark. Very dark, and crawling with creeping, slithering, unmentionable things. But luckily we have just the thing to light your way (what... were you expecting a... flashlight?! Bwahahaha!). Because not just any old creepy, rustic lantern will do. You'll need something just as sinister as all that surrounds you... something which bodes ill for all who dare disturb you! 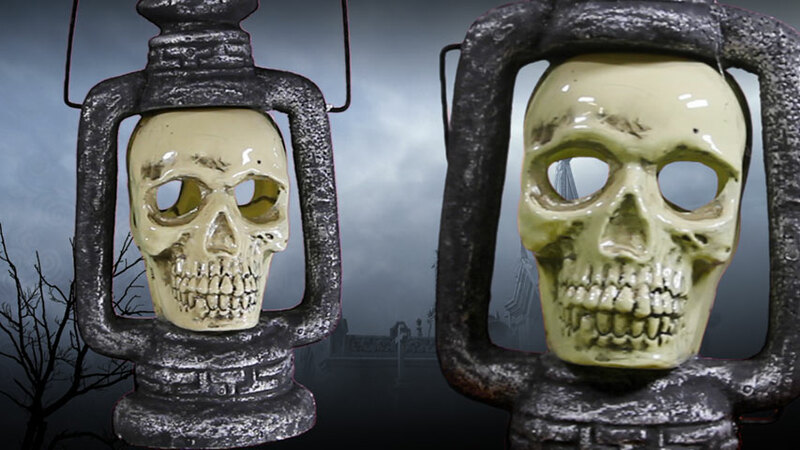 And that is none other than this ultra-spooky Skull Light Up Lantern! 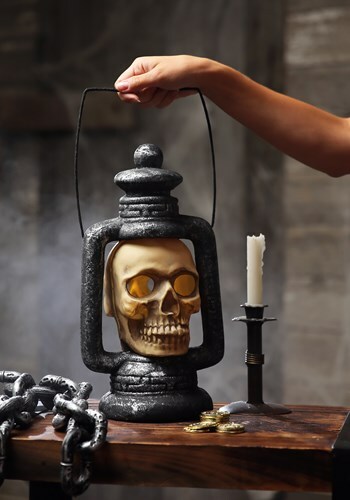 With an evil grinning death's-head in place of a candle flame, everyone who visits your manor this Halloween will know immediately what kind of a night they are in for when they see this creepy lantern glowing ominously in your window. And if you're not into the whole "reaping souls" thing, it's also a great way of letting trick-or-treaters know that your house believes in Halloween. Whether they have the guts to ring your doorbell for candy, well... that's a completely different story!